Is There Ever a Time When You Shouldn't Use a 401k? As a rule, if you can predict that your tax rates have crested at a long-term plateau, a 401(k) investment is the way to go, whether your contributions are being matched or not. This allows you to take advantage of the non-taxable status of 401(k)s.
However, if you anticipate rising tax rates, your decision between a 401(k) and taxable investments will depend on the window of time you’ll be contributing to the 401(k) and the terms of your employer’s matching. 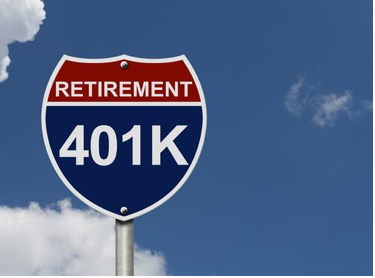 As a rule, if your job is a career-oriented position that will span decades, a 401(k) is a better option, while those whose life-path may include job mobility are better off with taxable options. As far as matching goes, if an employer meets the normative rate — around 3% — 401(k)s are also a safer bet. When employers don’t make such contributions, in all likelihood your investment will be consumed by the aggressive maintenance fees for the plan. In this case you’re better off rolling your money into an IRA. Another tax-based reason to not rely on a 401(k) is to economize your tax-spending when withdrawing from social security benefits. Social security rules dictate that you could be taxed for well over 75% of the moneys you receive, making tax-free, tax-deferred, and taxable accounts better ways to keep more of your money. One of the easiest ways to take a big hit on 401(k) investments is to begin taking out funds before the IRS mandated no-penalty age of 70 and a half. Needless to say, the nature of emergencies are unpredictable. However, if you fall within some type of “higher risk” demographic — i.e. your health may likely lead to a period of low productivity — you should ask yourself whether you will be able to shoulder such expenses without dipping into your retirement allocations. Similarly, assess what significant non-emergency costs might arise in the future. Are your kids probably going to need assistance with college tuition, for instance? If your event horizon includes such events, it’s a better idea to use a product such as a Roth IRA so that you’ll be able to partially cash-out without a penalty, aside from the impact on capital gains taxes. Furthermore, an IRA is preferable if you’d rather eschew RMDs, or required minimal distributions. Per the IRS, you must make nominal withdrawals at the age when eligibility for penalty-free withdrawals kicks in. Once again, if you anticipate significant later-life expenses such as long-term care/assisted living and you’d like to hold off as long as possible before cashing out, a Roth IRA will make much more sense, as it makes no such withdrawal demands. In summary, the more predictably regular your income streams and spending patterns are, the more advisable it may be to seek avenues of savings other than a 401(k), be it various forms of IRAs or stock options. If you’re not a natural when it comes to thinking in rates and percentages, it’s probably worth your time and money to get a second opinion from a financial advisor. Remember, it’s your future quality of life that hangs in the balance. Editor’s Questions: What type of retirement plan are you using right now? Are you taking advantage of an employer match? Have you had a lifestyle change that has made you rethink your retirement strategy? Author Bio: Dave Landry Jr. is a financial and marketing consultant for small businesses. He hopes you enjoy this article and encourages you to check out all of the great content on Luke1428. You can reach out to Dave on Google+. I am trying to maximize my 401k this year and hope I can keep it up until I retirement. My only wish that I had started investing in one a long time ago. We are taking full advantage of my husband’s 401k plan right now, and it’s paying off well for us. I am self-employed, so we use IRAs for my retirement. Great article, Dave! Great tips Dave! My employer contributes 7.5% to my 6%, so we’re in a pretty good situation right now 🙂 It’s also a Roth 401(k), which is perfect for our income level.